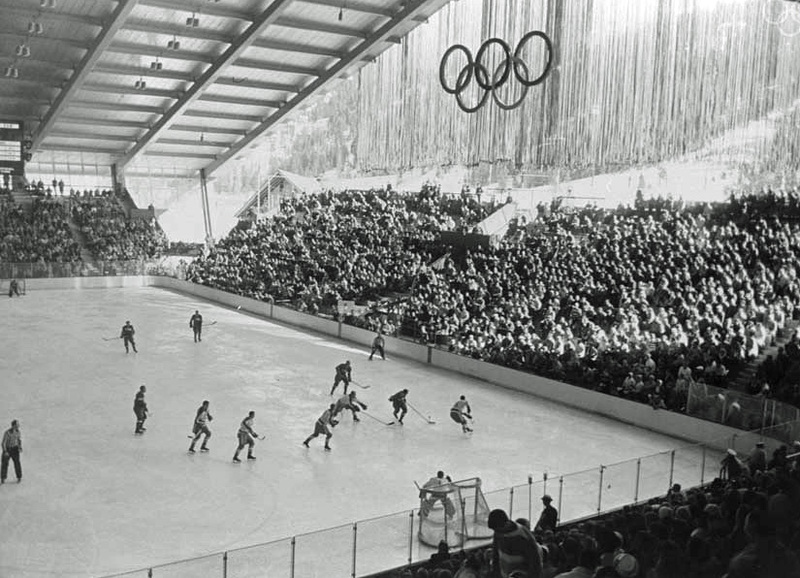 In 1955, when Alex Cushing got the idea to apply for the 1960 Winter Games, they hadn’t been held in the United States since the 1932 Lake Placid Winter Games. Cushing didn’t even have a venue when he made his bid. Cushing got his approval from the International Olympic Committee with just 4 years to build a venue. 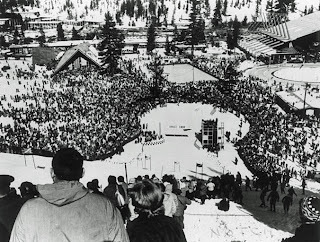 Cushing struck a deal with Wayne Poulsen of Squaw Valley to hold the games at Squaw. They built roads, chairlifts, housing, parking, and arenas to hold the games. When more parking was needed, woodchips were scattered in the meadow for parking. 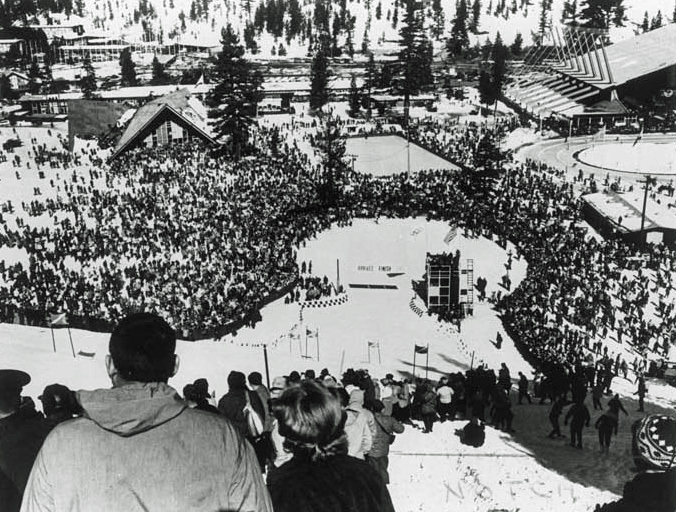 Before the games began, Cushing ended up with control of the Squaw Valley Ski Corporation. The Olympic Games were held February 18-28, 1960. 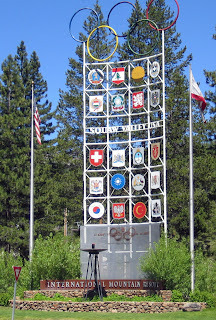 All of the events except the Nordic ski races were held at Squaw Valley. The games opened for the first time with live television. Vice President Richard Nixon and Walt Disney were some of the big-name attendees. · Controversy regarding construction of the bobsled run and lack of participants, made 1960 the only time bobsled events were excluded from the Winter Games. · Frenchman Jean Vuarnet became the first skier to win a medal on metal skis, rather than traditional wooden skis. · Men’s biathlon and women’s speed skating made their Olympic debuts. · Olympic officials wanted to review a video play-back of a possible missed gate on the slalom course. This gave CBS the idea to invent “instant replay”. · Officials were worried about the rain and lack of snow in February. A storm blew in on the morning of Opening Ceremonies to save the Games. There is currently a group called the Reno Tahoe Winter Games Coalition that is making a bid for the 2026 Winter Games. They were unsuccessful in their bid for the 2022 Winter Games. 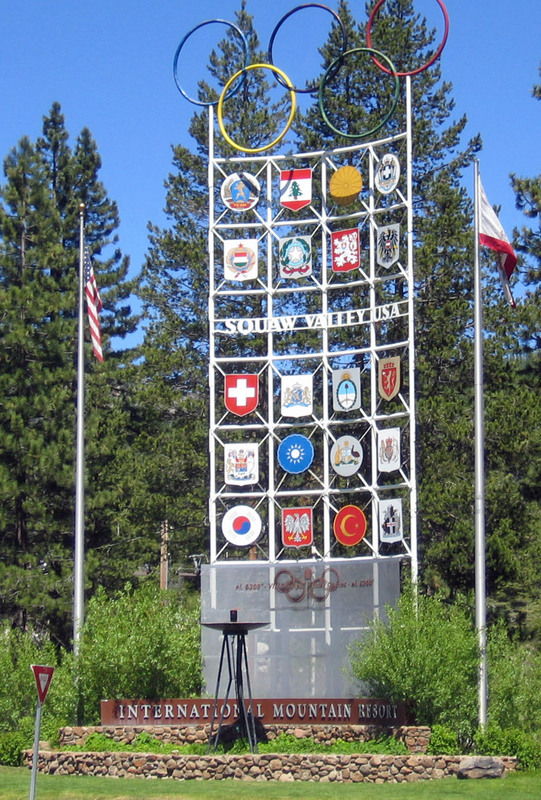 If you want to learn more about the Olympic Legacy at Squaw Valley, visit the Squaw Valley Olympic Exhibit at High Camp on the mountain. Squaw Valley was purchased by KSL Capital Partners LLC in 2010.